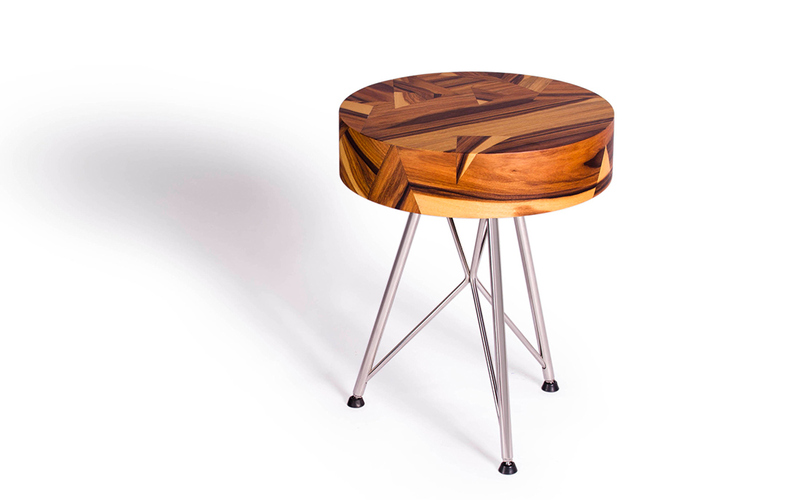 Stool Limited Edition - Amarist studio - Collector Furniture. 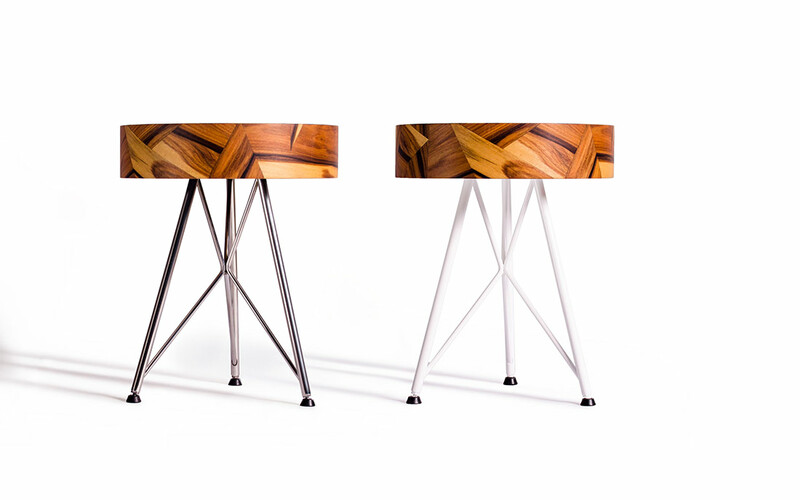 Alma stool collection is the research in the equilibrium between nature and human kind. Modern and Natural. 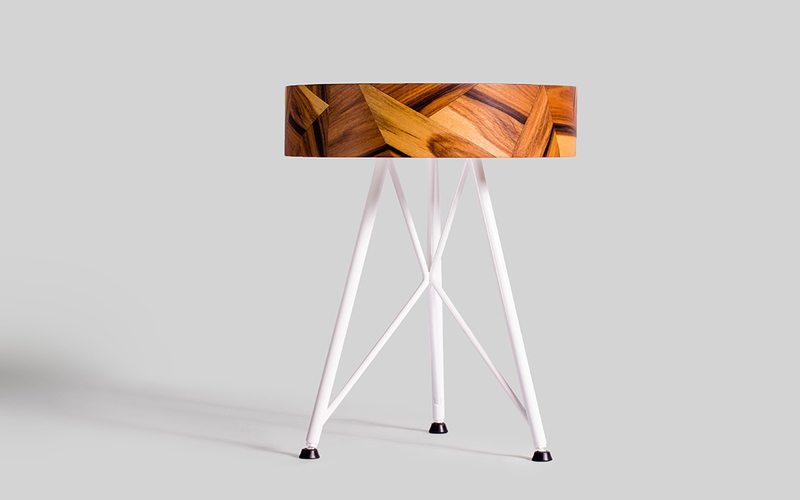 Using the sinuous organic lines of the wood, Alma stool is a creation of unique unrepeatable geometric compositions. 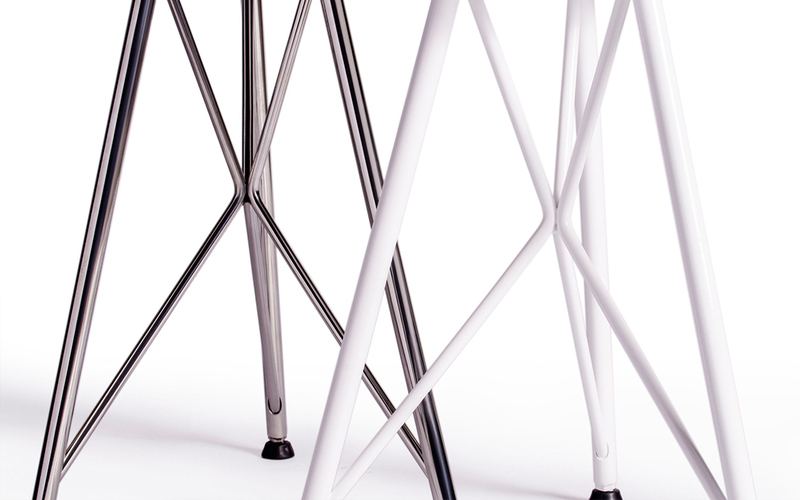 The stainless steel legs, homage to the Eiffel style, create a contrast transmitting an independent and elegant energy. 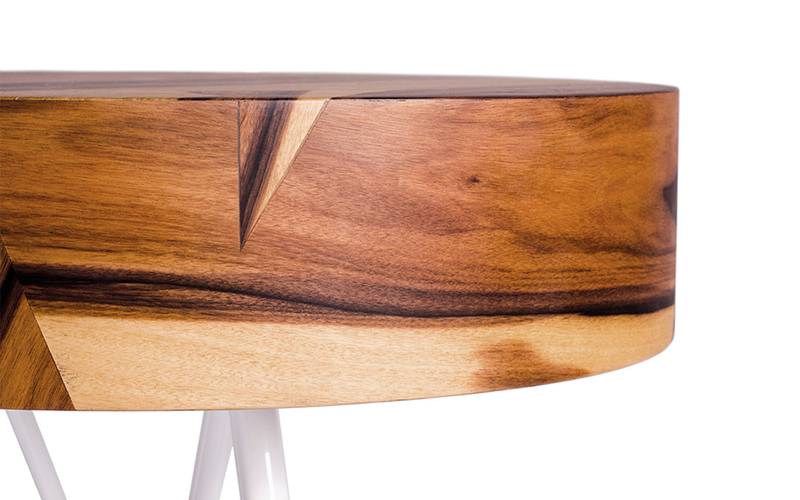 The dimension of the top allows this piece to become an auxiliary table as well. Arts and techniques: cabinetmaking, metalwork. 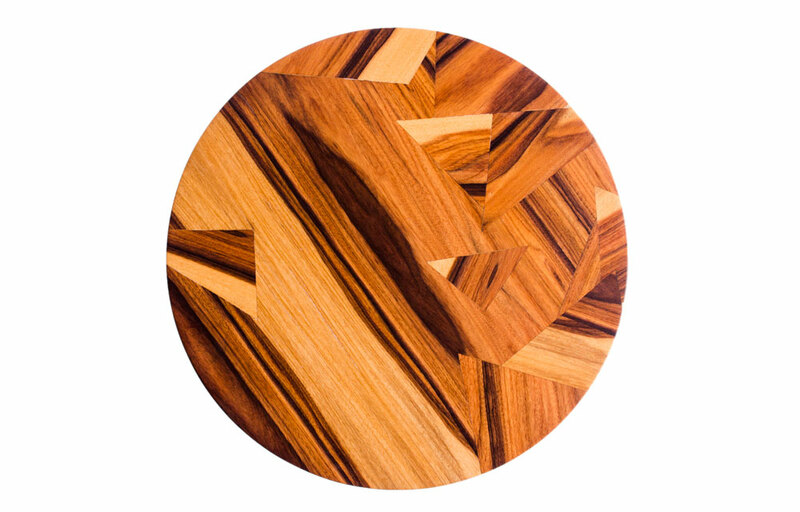 Materials: Stainless Steel, Rosewood from the Amazons. Finishing: Seat: Satin, Matte, or Glossy Varnish. 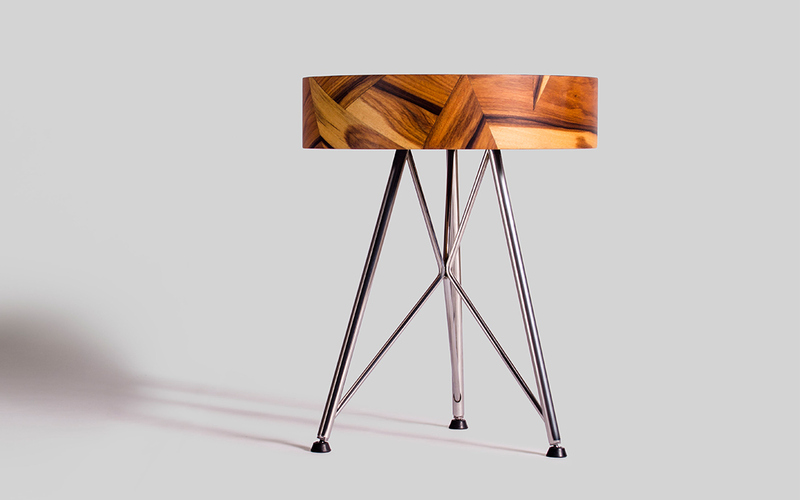 Legs: Stainless Steel: polished or painted. 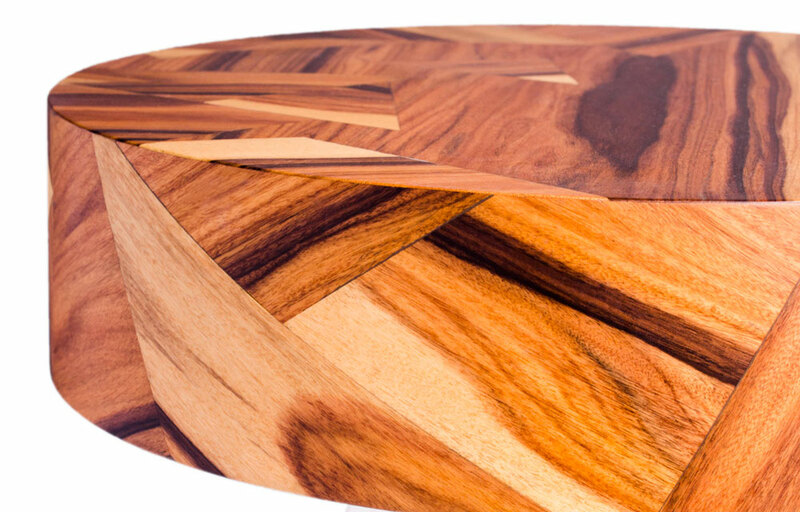 *Note: The Alma stool is made of natural wood veneers, each piece can present a different finish due to the nature of the wood. Diameter: 33 cm / 12,9 in.